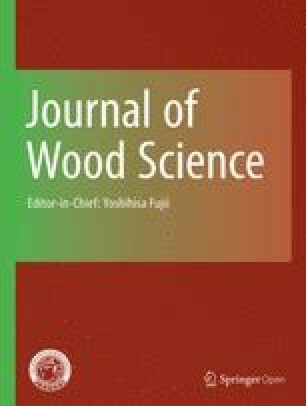 Relations between various extracted basic densities and wood chemical components were investigated by their within-tree variations in Eucalyptus globulus for assistance in the prediction of the properties of wood or wood-derived products. Extraneous compounds affect the relations between various basic densities and wood chemical components such as holocellulose and the lignin syringyl/guaiacyl ratio. We also discuss the relation of various densities, the molar composition of neutral sugars constituting hemicellulose, and fiber morphology.